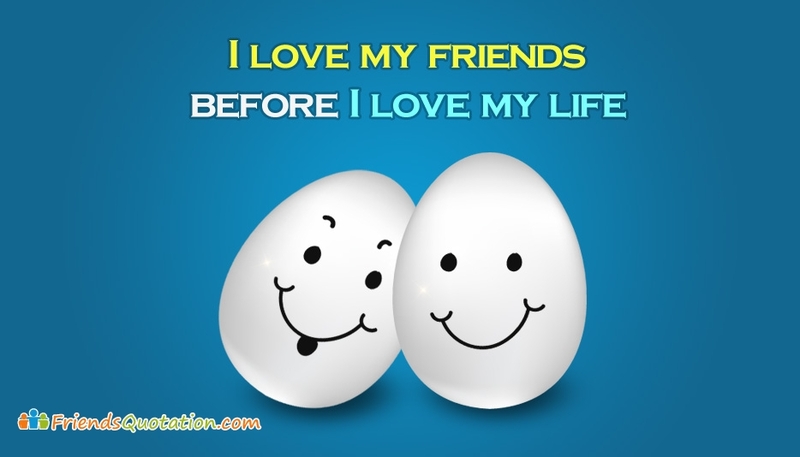 A cool and cute friendship image with the quote "I Love My Friends Before I Love My Life". Life becomes meaningful and happier when a true friend enters into our life. True value of living is realized when a real friend stands next to us. Free download and share this image with your true friends.